For years, oil was the ultimate facial enemy. Anything and everything was done to remove oil from our faces and prevent it from ever popping up. Oil-free cleansers and moisturizers were hot ticket items. But now? The game has completely changed. Progressive beauty companies everywhere are including face friendly oils in their formulations. And for those that want to experience blemish free skin and anti-aging benefits on an even deeper level, let me introduce you to OCM – also known as the Oil Cleansing Method. What if the key to a clean, clear, and youthful complexion was not stripping your skin of oil or drying it out, but actually replenishing it with – strangely enough – more oil? Just the thought of trying OCM (oil cleansing method) may terrify you (it terrified me when I first heard about it). But it shouldn’t. Oil cleansing has transformed my acne and blemish prone skin to a clear and radiant complexion that I can be proud of. If you’re already suffering from dry skin or regular breakouts then you need to try oil cleansing. If you want more radiant skin or the cleanser that you’re using is loaded with harsh chemicals then you need to try oil cleansing. And especially if you want to age gracefully with as few fine lines and wrinkles as possible…you need to try oil cleansing. You’re about to read everything you need to know about OCM – what it is, how to do it, which oils are great for different skin types, and even some ways to add an extra punch with essential oils. It’s time to move oil from the “enemy” category to “my skin’s best friend” category. OCM (oil cleansing method) is just as simple as it sounds: you’re cleaning your face with oil. Oil also works as a very effective makeup remover. I don’t know about you, but I used to spend so much time wiping and practically scrubbing my eyes to get rid of my eye makeup. This isn’t good for the delicate skin around the eyes that tends to show fine lines first. Oil is perfect for the job because it easily wipes away eye makeup and even waterproof mascara with just one to two swipes with a cotton ball. But that’s not the only benefit. Oil can also stand in for your traditional cleanser or face wash. If you want to know how to clean pores out to get rid of all the gunk and acne-causing bacteria then OCM is your friend. The entire premise of OCM is that “like dissolves like” (read more about that later in the article). I’ve gone in circles over and over again trying to “correct” my skin issues with too much cleansing, stripping and dehydrating the skin of its natural oil and moisture. Oil is not the enemy. Our skin produces it with a purpose: it is healing, hydrating, and protecting. The enemy is actually dirt, bacteria, grime, old dead skin cells, makeup remnants, etc. that have settled into your face’s natural oil and created a clogged pore. You need to remove that “dirty” oil without stripping your face of the nourishing benefits oil provides. So how do we get out of this maddening cycle? You see, when you cleanse with oil, you are actually dissolving the “old and dirty” oil and cleaning your pores effectively. Plus, you leave the skin well hydrated, so your body does not have to over-compensate with excessive oil production. The key to spectacular OCM success is choosing the best cleansing oil/oils for your particular face. Castor oil is the most drying and the most cleansing of oils, so the oilier you are the more castor oil you add. The drier you are, the less you add. This means there’s a little bit of scientific experimentation in play before you land on the killer combo. But you absolutely do not need to use castor oil for your oil cleanser blend (I don’t). In fact, you don’t need to use a blend at all. You can use just one oil if you choose. I personally like to use jojoba oil because that’s what my skin loves. There are many other options that you can choose as well (see below). If you are acne-prone, your best natural face wash must be at a 2 or under. Last, but definitely not least – you will also want to make sure that your oil cleanser of choice is from a brand that supplies 100% oil without any additives or synthetic ingredients. So without further ado, let’s get into all of the fabulous oil choices that will turn into the best natural face wash you have ever used in your life. There is no other oil that is as close in composition to the oil your body naturally produces than jojoba oil. So if your goal is to remove the pore clogging oil from your face and replace it with natural, clean oil – jojoba oil is one of the best choices. Using Jojoba oil for acne is also a great option. With a comedogenic rating of only 2 and the close composition of jojoba to your skin, you shouldn’t have any issues with breakouts. Plus, it is full of vitamins and minerals to boost general skin health. Coconut oil is the king of natural, inexpensive health products. But is coconut oil face wash the ideal choice for your OCM? Depends on your skin type. Sometimes people will say that using coconut oil on your face is a valid option because we know that oil dissolves oil. But pay close attention. While OCM is great for acne, you still must choose the right oils. Can coconut oil clog pores? Coconut oil is actually quite high on the comedogenic scale – a 4! – so it is very likely to clog pores especially for more acne prone skin. Since there are so many other fabulous, nourishing, acne-fighting oils, leave coconut oil face wash for those with acne-free skin types. But if you have very dry skin, it may be a good choice for you. It turns out olive oil is not just a health powerhouse when you eat it on your salad. Olive oil for your face is just as beneficial. This is an extremely hydrating oil rich in fatty acids, so it’s great if you have very dry skin. 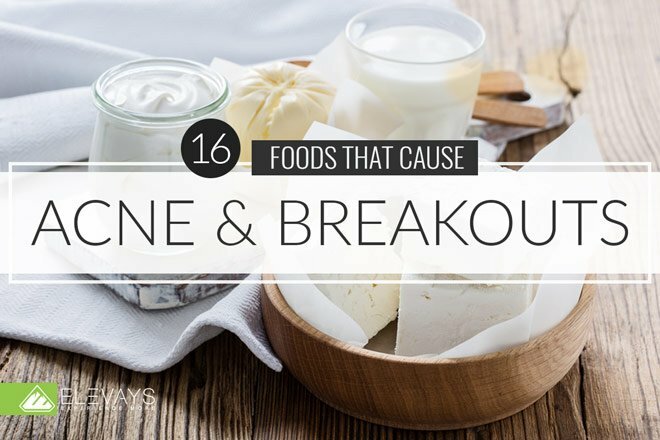 Though olive oil is only a 2 on the comedogenic rating, many acne sufferers find that it aggravates their breakouts. This list is chalk full of great oils for acne, so it shouldn’t be a bummer to skip this one. Bonus: olive oil isn’t just for OCM; it’s an all-around hydrating moisturizer for your entire body. Dry elbows, stretch marks, and peeling feet – you name it! I’ve even used it in my hair as a hot oil treatment to hydrate and lock in moisture. Argan oil was one of the first OCM oils to start creeping into just about every beauty product on the market – probably due to its high vitamin E content and luxurious feel. You can find it in shampoos, cleansers, lotions, etc. And though it is encouraging that such a stellar oil can be found in so many products, you really only need pure argan oil to experience the benefits. I’ve seen some brands offering a facial cleanser with argan oil only to find that the cleanser has a little bit of argan oil and lots of other synthetic ingredients. Your best bet is just to use 100% argan oil. If you’re not a fan of castor oil as your OCM carrier oil (personally, I find castor oil too drying), I have another option for you. Almond oil is the best carrier oil for face cleansing if you do not want to use castor oil. This oil is considered non-comedogenic with a 2 rating, so it is still a great option for acne-prone skin. At the same time, it’s deliciously moisturizing for dry skin. A quick word of caution! There are actually two types of almond oil: bitter almond oil vs. sweet almond oil. Bitter almond oil can actually be poisonous – so skip that one! Just remember: sweet is sweetest for your face. Using sunflower oil for skin – especially acne-prone skin – is super effective thanks to one special ingredient: linoleic acid. Studies have shown that skin without enough linoleic acid is more acne prone. With sunflower oil you get the benefits of using a non-comedogenic oil (a 2 rating) plus an essential fatty acid that helps to calm acne. Even if you are not an acne sufferer, you can benefit from the anti-inflammatory properties of linoleic acid and using sunflower oil for skin care. And breathe easy: There’s no marijuana in hemp seed oil – only essential amino acids and fatty acids that will help your skin glow! Like hemp seed oil, grapeseed oil for acne is helpful on multiple levels. First, it’s non-comedogenic (a 2 rating). Next, it’s nearly 70% linoleic acid. Finally we land on pumpkin seed oil. Pumpkin seed oil for acne offers high linoleic acid (though not quite as much as grapeseed oil) and a great non-comedogenic score (another 2 rating). Plus, it is known for deep hydration without a greasy residue. And if you have sensitive skin you will probably love this gentle choice. It’s rich in antioxidants and can even aid in hyperpigmentation issues. Here’s where OCM can get creative. When you make your own oil cleansing method recipe, you can also include essential oils. These are all-natural boosters that can target any particular skin concern you have. I want to focus on two issues in particular: cystic acne and wrinkles. Now that we have all the details on OCM, how it works, and what type of oils are available, I want to highlight the best oils for acne sufferers. Another oil you may want to consider is neem oil for acne. You only want a drop or two in your OCM blend; don’t use it on its own. Let’s do a quick wrap up of the top OCM oil choices depending on your skin type: dry or oily. Of course, if you’re combination, you will need to experiment a tad to find your holy grail mixture. Is it too oily – use more castor oil! Or switch to sunflower oil or grapeseed oil. Is it too drying? Limit the castor oil and switch to a thicker oil like almond, or olive oil. Are you breaking out? Well, it could be an immediate purge that goes away in a week or two. But if you’re still having issues, try grapeseed, pumpkin seed, or argan oil. Now it’s your turn. Have you tried OCM? I’d love to hear all about it! Which oils did you choose? Have you found the perfect combo? Any oils that aggravated or soothed your inflammation or acne? What about all my dry-skinned friends? Leave your thoughts below. What a great informative article! I’m a firm believer in using oils as a big part of my skin care regimen! I’ve been using olive oil to clean my face for a couple months now and my skin has never been healthier! My daughter who has been suffering with acne since she was 12 has been using this method too and it really works! I make my own skin care and have created an all oil serum with CoQ10 In it and it’s amazing! Oil is the way to go for complete skin health if you haven’t tried it I highly recommend you do! Hi Nathan! We usually recommend trying one to two base/carrier oils at a time so your skin doesn’t have so much to get used to and you’ll be able to know if it’s working for you or not. For your recipe we’d recommend starting with 1/2 oz Grapeseed Oil and 1/2 oz Argan oil with 3 drops of Lavender and 4 drops Frankincense. Hope this helps! Hello! I really want oil cleansing to work for me, but after 3 weeks of using, I’m breaking out like crazy and my skin is super bumpy and scaley (especially around my chin). I’ve been using 90% hemp, 10% castor oil at night. I massage it in for about 5 minutes and then steam it a couple times and pat my face clean of excess oil, then spritz with rose water to tone. In the morning I rinse with water and while my skin is still damp, spritz with rose water and massage a couple drops of hemp oil for hydration. Is there anything I should be doing different? I think I have combination skin. And I’ve suffered with hormonal and cystic acne for over a decade. Any info much appreciated; I’m just looking for a little relief!